Leave your pride outside, come in and learn. 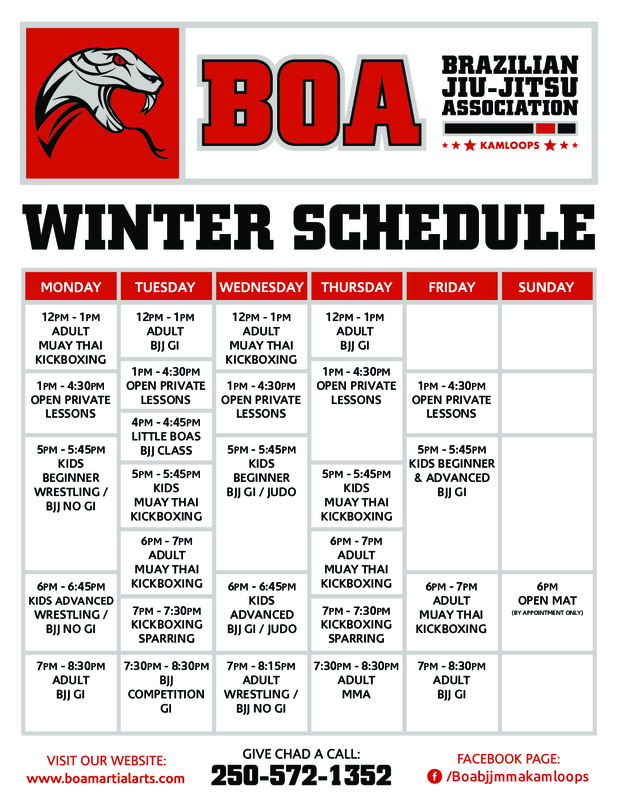 All students must wear the official BOA BJJ uniform for gi and no gi classes. Bow to the center of the mat when entering or exiting. Maintain respectful behavior and good manners in the center. Classes begin with a formal bow to the professor while students are formed up in descending belt order. During class, when the instructor is demonstrating technquies, every student must be seated. For safety reasons, students who are late should sit by the side of the mat and wait for permission from teh professor to enter the mat. For safety reasons, students who need to leave the mat or leave class early must ask permission from the professor. Partners should bow to each other before and after practice. Talking should be kept at a minimum level and should relate to the class subject. Absolutely no foul language is allowed inside the school. Fingernails and toenails must be kept short for everyone’s safety. The uniform pants and top must be the same color. It is mandatory to wear a BOA BJJ t0shirt or rash guard underneath the gi. The gi must be washed after every class; a dirty gi is a sign of disrespect. The gi must be worn at all times. When trying the gi, face the wall. The belt represents progress; it must be kept on. Refer to black-belt instructors as “Professor” or “Master”. For safety reasons, all metal objects such as jewelry, piercings, necklaces, or other such items must be removed. No cell phones, shoes, food, or drink on the mat.